Keep It Simple and Fast: Introduction to the Exact System Information application. Introduction to the Exact System Information application. It will take time of our customers to answer these questions. Small surveys will take at least 5 minutes or more. Time is money. Answers are not always consistent. Does person X and person Y of company Z provide the same answer to your question? Who is going to answer the questions? Not all users are aware about which functionality is used by their company. For instance people from the order administration have no idea what payroll functionality is used. Statistical information can be difficult to answer. For instance: How many employees are using Globe? I have, within my company, no idea how many people uses Globe in all different administrations we have. To retrieve this information it will cost me a lot of time to get that answer. Questions which are difficult to answer are not reliable. Most answers on these questions are stored in the Exact Databases of the customer. To answer these questions, we have made an application which will answer these questions. 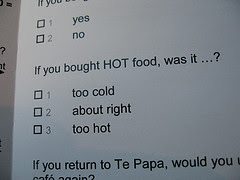 This application will avoid the disadvantages of a survey. Starting the application will cost less than one minute and all answers are consistent. We do realize that the customer is the owner of the data and should 'approve' the data retrieval. Customer can do this by pressing the agree button in the terms of agreement window. If customer does not agree, NO data will be retrieved and the application will close. If the customer agrees, the data will be retrieved and automatically uploaded to Exact Software. What kind of information is retrieved. What the advantages are for the customer. If you are already interested to take part of the controlled release phase of the Exact System Information tool, please send me an email to me. Servicing software in this manner via statistic and inferences holds many of the promises as SaaS, without forcing customers to store and access their critical business data outside of the firewall. How to measure performance of your SQL Server?